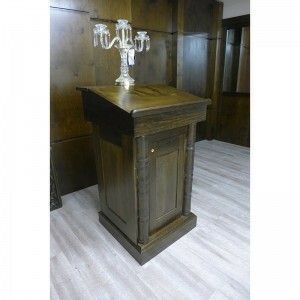 The amud tefillah is a podium used as a prayer stand by rabbis and cantors. The amud traditionally stands to the right and left of the torah ark. 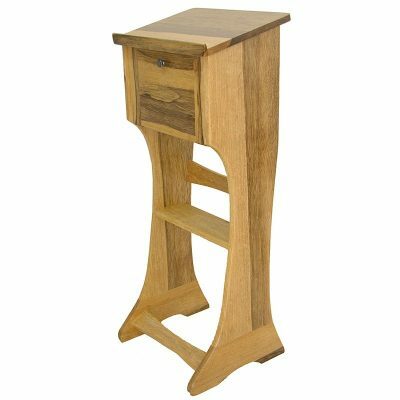 The wood lecturn is built from African walnut wood and features lathed half columns between the doors, which access the storage beneath. The top has a flat section for a menorah or candles and flips open for top storage. 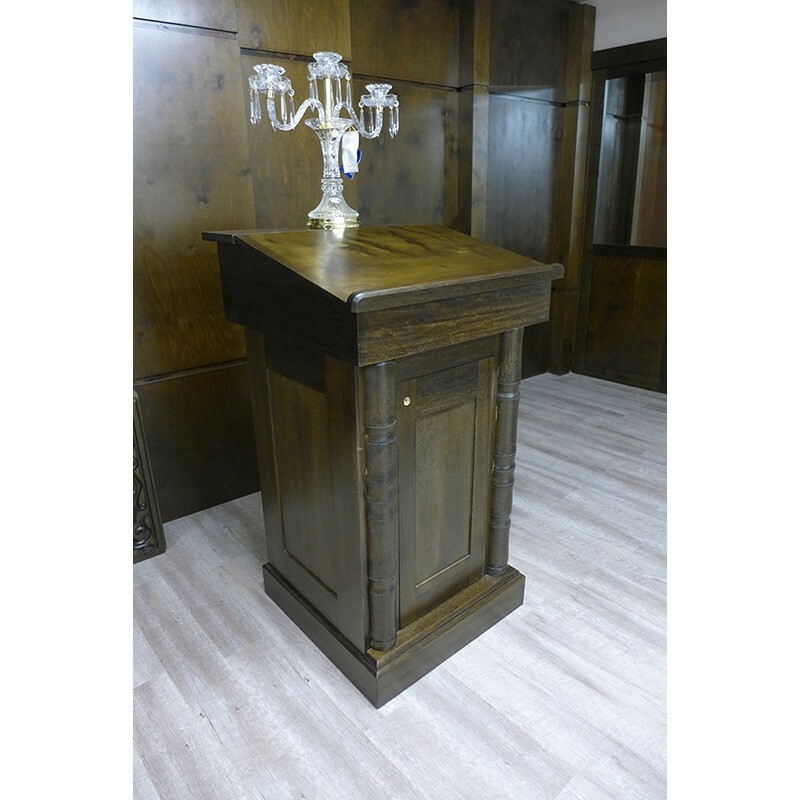 Bass Synagogue Furniture custom builds wood podiums and lecterns for synagogues throughout the world. This amud tefillah was designed and built for Tehillat Yisrael synagogue in Toronto, along with the entire synagogue interior. 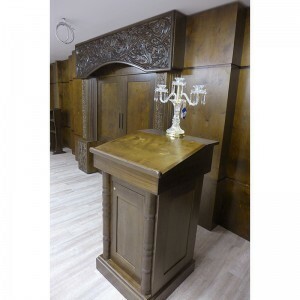 BSF built and designed the front wall of the synagogue, aron kodesh, bimah, mechitza, and built in bookcases. 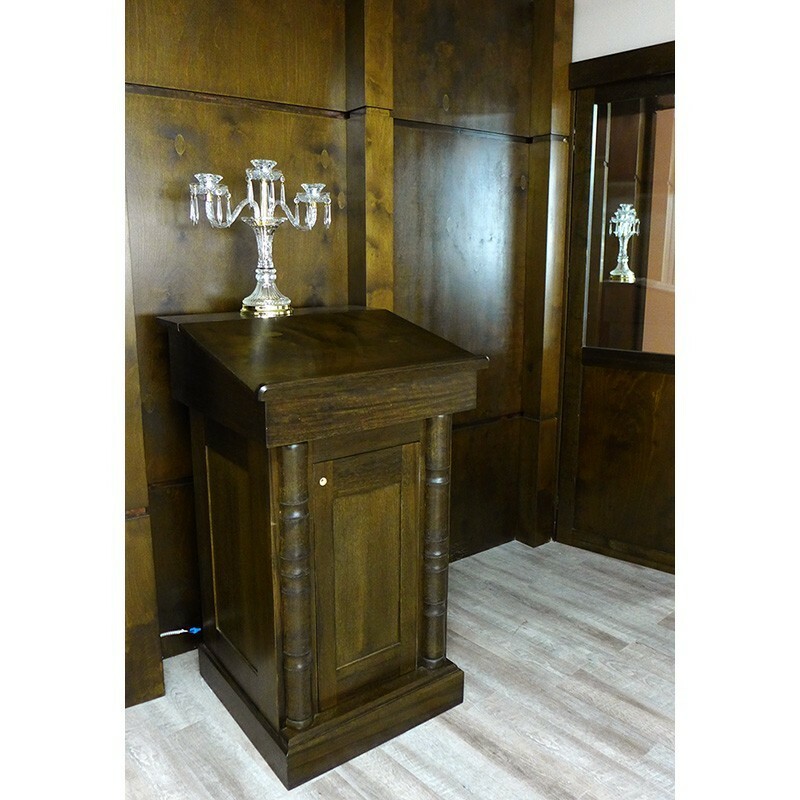 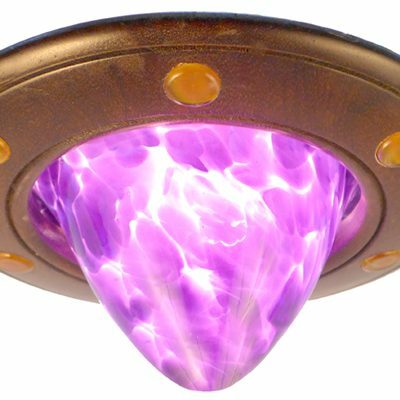 View the entire project and information about how it was built. 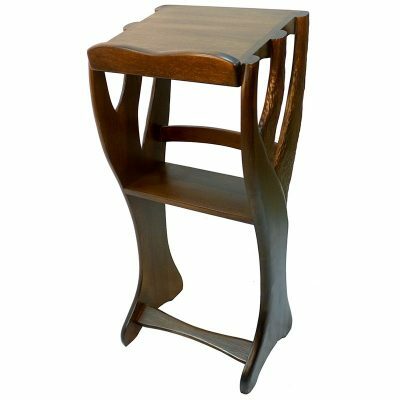 Options include carving and pull out table for sitting position. 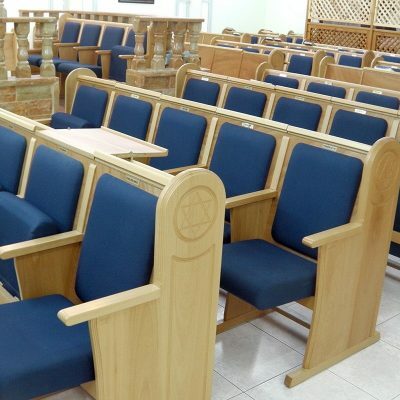 Contact us today to find out more about customizing synagogue furniture to suit your needs.